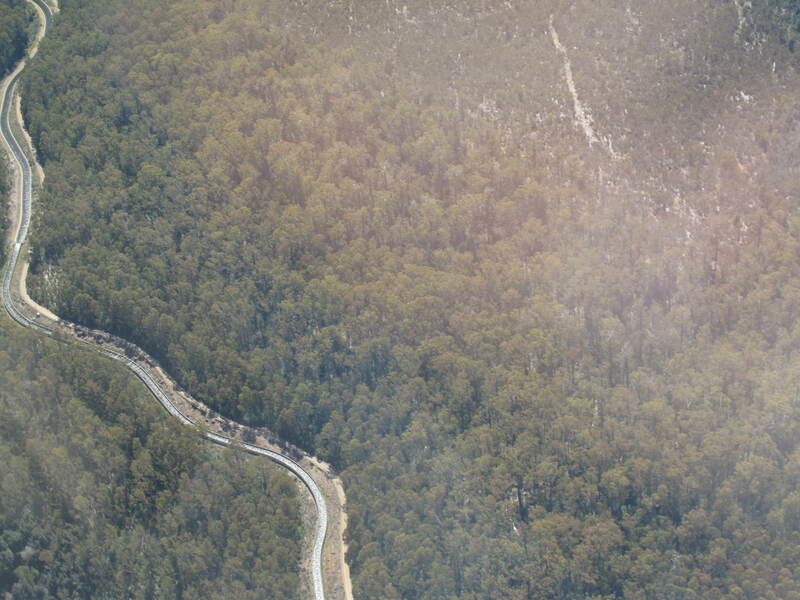 Aerial photos help to situate this part of my walk along the Tarraleah Canal Number 1. 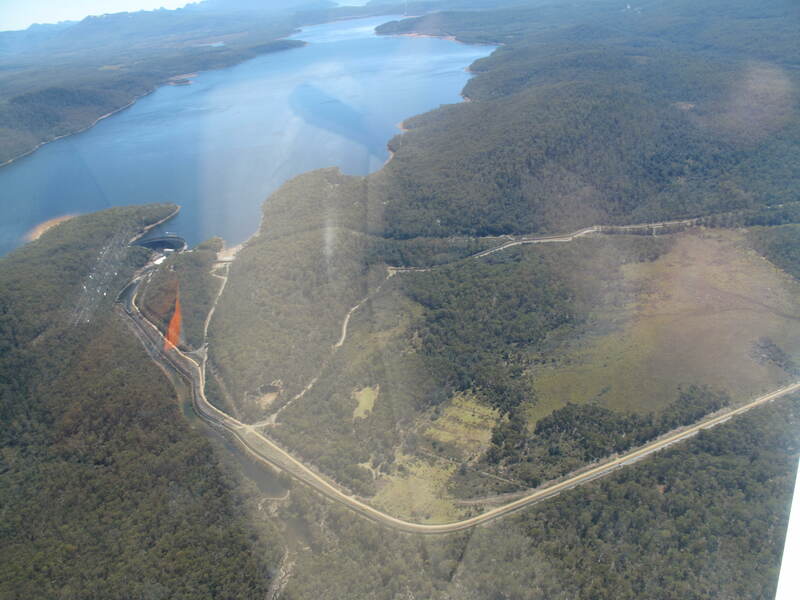 Chantale’s first photo below looks across to Lake King William behind Clark Dam, and down onto the remnants of the meandering ‘dry’ Derwent river bed meander which can be seen in the glare near the lower edge. The Canal winds its way next to a gravel road close by. Her second photo shows the curving Canal and the gravel road, on which I walked, immediately to its right. 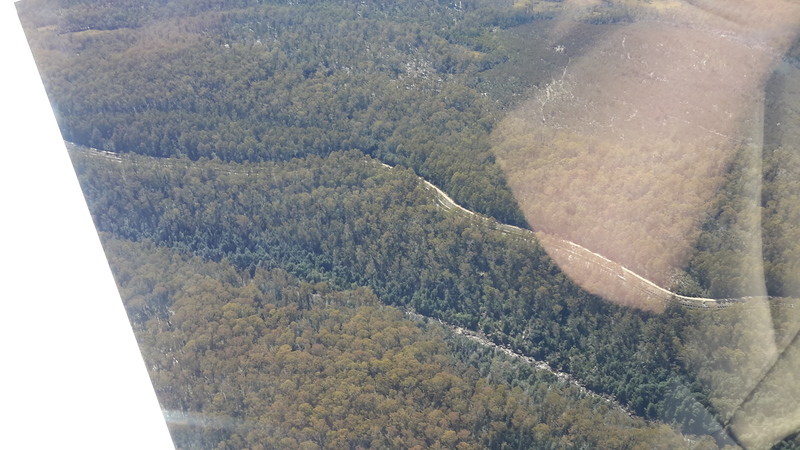 Much further inland a yellow line indicates the gravel Butlers Gorge Road. 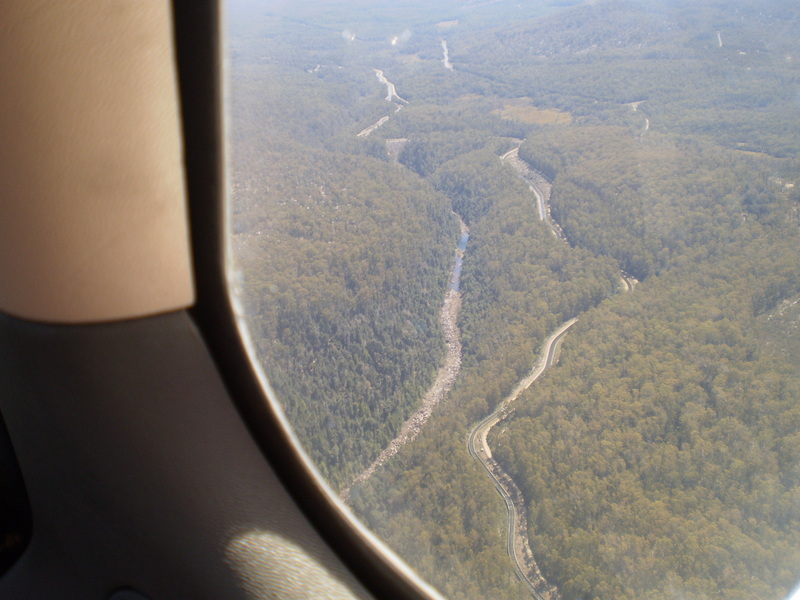 My photo below includes the old river bed, the Canal and the Hydro Tasmania gravel road. 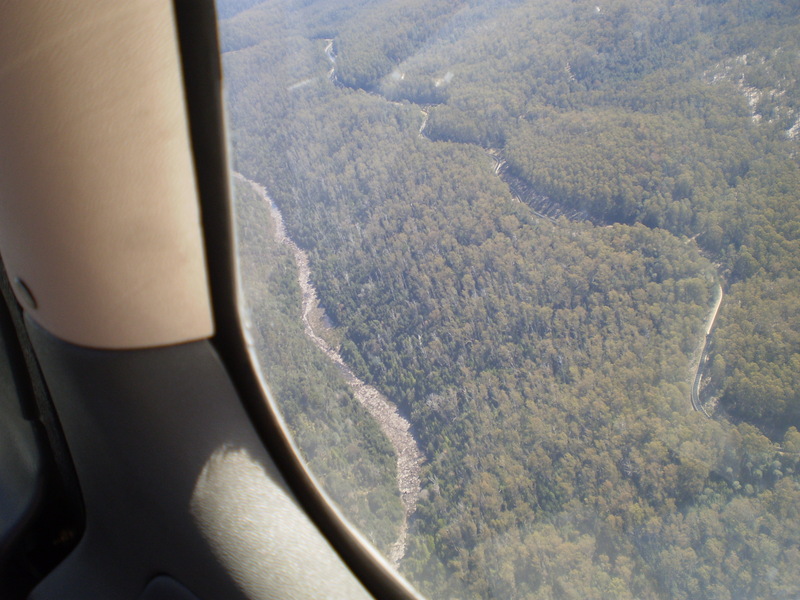 Michelle’s photos below helps you to appreciate the density and height of the surrounding bush. I stayed on the road and was immensely pleased not to be navigating through that wilderness. The bush was stunningly beautiful to look at and to smell but would have been a nightmare to walk through. 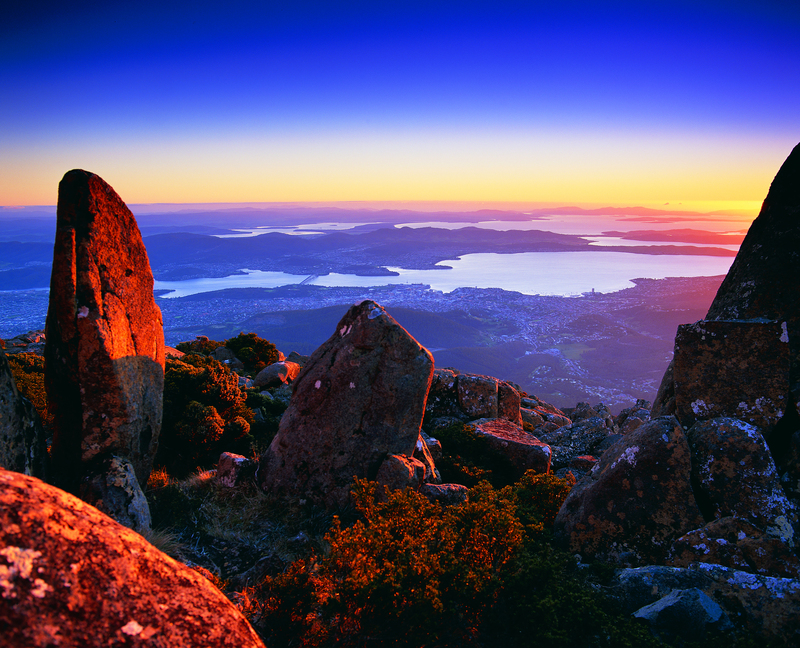 This entry was posted in Derwent River, Tasmania, Walking and tagged Butlers Gorge Road, Clark Dam, Derwent River, Hydro Tasmania, Lake King William, Tarraleah Canal number 1 on March 7, 2016 by Tasmanian traveller.